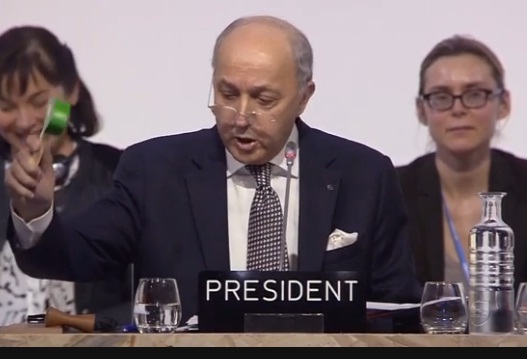 Paris: At the end of 2-weeks of marathon nagotiations, the COP21 Climate Change Summit concluded here last night with nearly 200 nations adopting the Climate Agreement to cut carbon emissions and imit the rise in global temperatures to less than 2C. This is the first time that all countries have joined hands and given a commitment to cut carbon emissions. 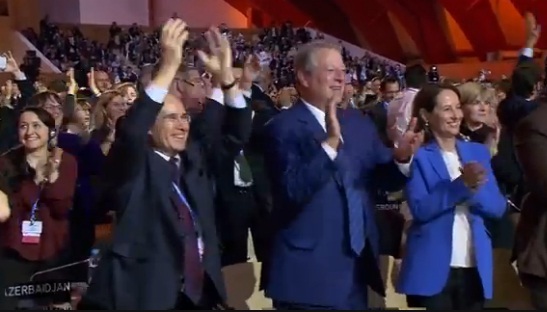 The Paris pact will come into being in 2020. It will be voluntary but also legally binding to some extent. The 21st session of the Conference of the Parties (COP21), which was part of a series of UN conferences on climate change, was attended by over 150 Heads of State and Government, including US President, Barack Obama, President of China Xi Jinping Indian Prime Minister Narendra Modi and Russian President Vladimir Putin. The President of the French Republic Francois Hollande, the United Nations Secretary-General Ban Ki-moon and French Foreign Minister and president of the COP21 meetings Laurent Fabius were there to receive them. US President Barack Obama, while describing the Paris agreement as “ambitious” and “historic”cautioned against complacency. 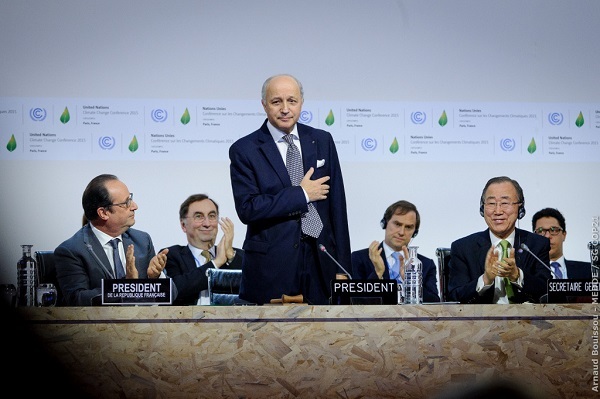 The 2015 United Nations Climate Change Conference, COP 21 was held here from 30 November to 12 December 2015. It was the 21st yearly session of the Conference of the Parties to the 1992 United Nations Framework Convention on Climate Change (UNFCCC) and the 11th session of the Meeting of the Parties to the 1997 Kyoto Protocol.